Registration – The Right Path – Fulfilling the rights of others. – Path to Piety – April 19 – April 21, 2019. Pre-Registration is required for workshop. Must be 16 years or older to attend the workshop. 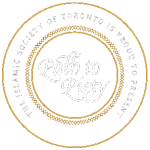 Email your workshop questions to ilm@pathtopiety.com. Limited Spaces so register now! Click on the below link to register to become volunteer.